I've not used or seen one personally, but I suspect you need the paper in sheets to effectively compress them into logs. Since the logs will be compressed flat, there wet paper should be flat as possible, with no space between the paper sheets. That means you cannot incorporate other briquette "ingredients" like sawdust or dried leaves. These biomass ingredients are too "chunky" to flatten into the paper brick logs. They also wouldn't adhere to the rest of the paper sheets. Shown below is a device popular in Asia that creates "honeycomb" style briquettes. 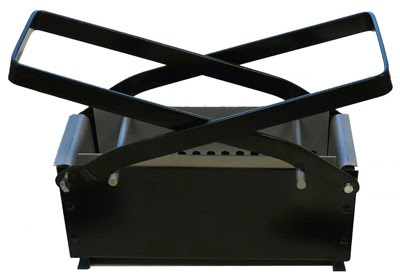 The briquettes are big in size and custom-made for the "beehive" outdoor stove. 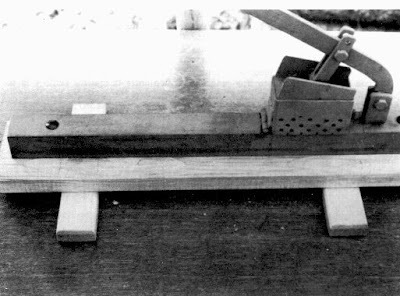 Here's a device that's similar to the "horse" model shown earlier. But this is made of metal with a smaller sized footprint. A much simpler model for creating smaller pellet-sized briquettes. I don't think the pressure created is enough though to make compacted briquettes. 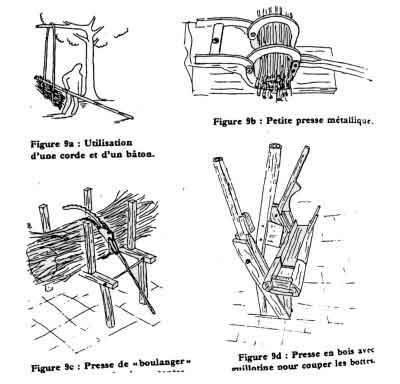 Other hand-operated models don't create briquettes though, but basically tie up twigs and branches into more manageable sizes for feeding stoves. These are essentially balers. The next post in this series discusses how to prepare the briquette ingredients.